Actor Tiger Shroff is busy promoting his upcoming film Munna Michael. Today, the 27-year-old actor posted a video on social media announcing that a new song from the movie, titled Beparwah, will be unveiled on Wednesday. 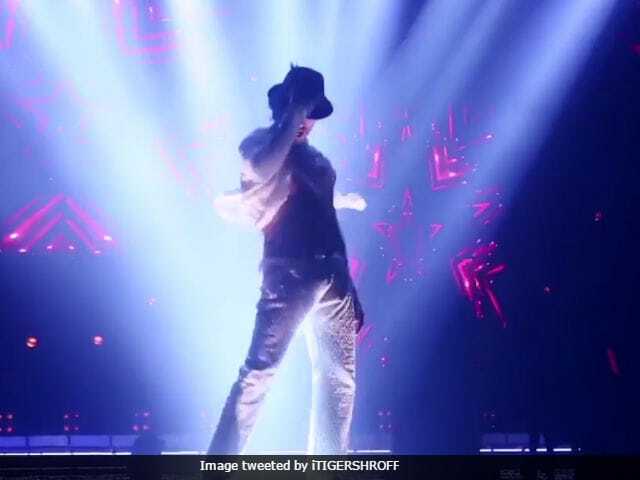 In the promo video of the song, Tiger Shroff said that he had a tough time shooting for the song and he hopes that the audience will appreciate his hard work. "This was very challenging for me. It's my biggest song till date. After every shot and take, I felt like puking because I used to put in so much of effort in each shot. I couldn't see anything in front of me. But I was just dancing like a mad man because of all the light," said Tiger Shroff. Munna Michael has been directed by Sabbir Khan. The film also stars Nawazuddin Siddiqui and Nidhhi Agerwal in lead roles. Tiger Shroff will portray the role of Munna, who aspires to be a renowned dancer like Michael Jackson in the film. He befriends gangster Mahinder Fauji aka Nawazuddin Siddiqui during his journey and teaches him how to dance. Nidhhi Agerwal will play the role of Dolly, a girl who hails from Meerut and aspires to be a star. Munna Michael also features Sana Saeed and Ronit Roy in pivotal roles. The film marks Tiger Shroff's third collaboration with director Sabbir Khan. The duo previously worked together in films like Baaghi and Heropanti. Munna Michael is scheduled to release in theatres on July 21.